Adjective. 1: Attentive and perceptive paying attention to detail. 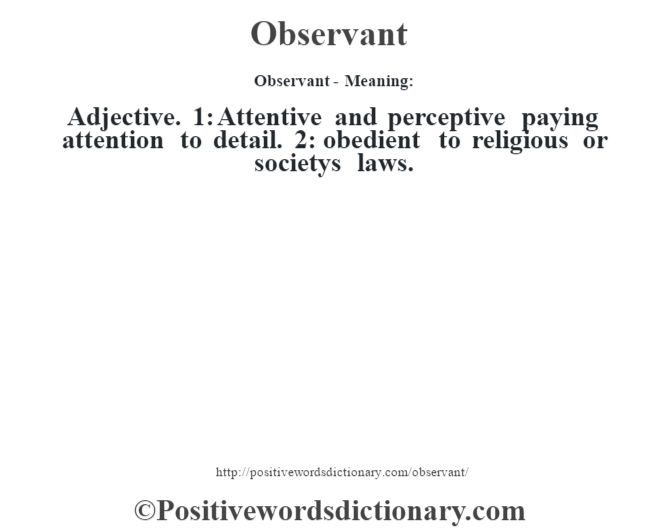 2: obedient to religious or societys laws.